Would you switch banks for free spending abroad? Thousands of holidaymakers are opening current accounts with tiny start-up banks to avoid rip-off fees when they spend abroad. Unlike major High Street banks which charge hefty fees of up to 3 per cent for holiday spending, many new banks will allow customers to use a debit card overseas free of charge. 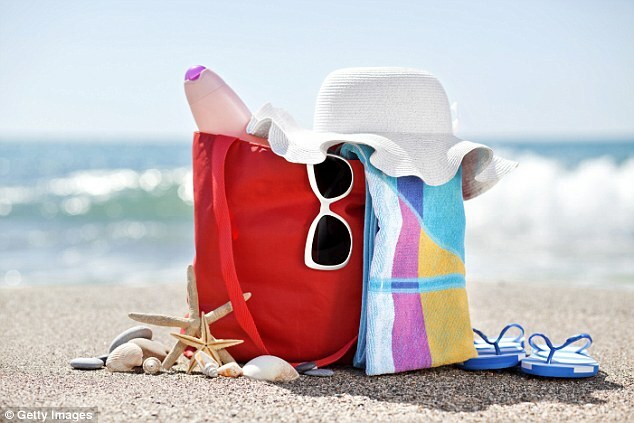 It means holidaymakers can save as much as £15 in fees for every £500 they spend on meals, attractions and transport during a summer break compared with what they would have paid if they were with a traditional bank. Some big names also charge a minimum of £2 each time you withdraw cash at an ATM. 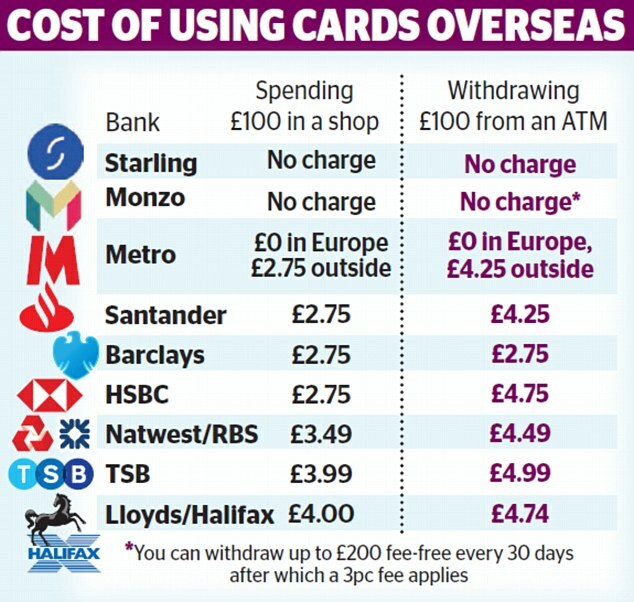 By contrast, banks such as Starling and Monzo are allowing current account customers to use their debit cards fee-free abroad. However, you must be willing to manage your account via a smartphone as these firms do not have branches or offer telephone or internet banking. Experts say that while these banks were once seen as an option for the most tech-savvy youngsters, they are offering such a good deal on foreign card use that they’re beginning to attract older customers who are confident using their mobiles. In the first three months of this year, Starling Bank gained 1,153 customers while Barclays lost 17,628 and Lloyds lost 14,114. Starling Bank said the number of accounts opened was increasing by 20 per cent every month. In November 2017, it had 43,000 personal current accounts. Just nine months later, it has opened more than 210,000. Monzo, meanwhile, has more than 900,000 customers using current accounts. This is up from 650,000 at the start of May and just 50,000 customers two years ago. The bank said it was currently growing by 15,000 to 20,000 customers every week. Tashema Jackson, money expert at uSwitch.com, says: ‘Traditionally consumers have been charged extortionate fees for using credit and debit cards abroad regardless of with whom they banked. Starling Bank – a mobile-only bank offering current accounts – charges nothing to withdraw cash or make payments abroad. Monzo, another bank accessed only via a smartphone, also offers fee-free spending on debit cards. It is free to withdraw up to £200 of cash overseas every month. Metro Bank, a challenger bank based mainly in the South, which is open seven days a week, does not charge customers to make purchases on its debit cards or credit cards, as long as you’re in Europe. Elsewhere in the world it charges 2.75 per cent on spending and cash withdrawals, plus another £1.50 for every card withdrawal. Meanwhile, app-only bank Tandem offers a credit card which charges no fees for purchases or withdrawing cash abroad. Tandem’s chief executive Ricky Knox says: ‘Customers were annoyed at being ripped off by their old banks whenever they spent money abroad. ‘They paid for a meal on holiday and then saw all these extra fees when they checked their bank statement. Some major banks now appear to be trying to compete with the challengers on fee-free spending abroad. If you would rather not change banks, currency cards offer holidaymakers the chance to load up a card with money to spend while they are away and potentially benefit from lower rates. Travellers should make sure these rates are better than their bank and check all the small print but typically these cards offer highly competitive exchange rates plus zero exchange rate fees. You can find out more about how these cards can help you save money and where to find the best deals in our roundup here. NatWest and Royal Bank of Scotland both offered fee-free debit card purchases for foreign transactions this summer, although the offer ends on Friday, August 31. Tashema Jackson, of uSwitch, says many people are opening these new app-only bank accounts in addition to holding a current account with a traditional bank, rather than closing their old ones. ‘Many savvy consumers who travel regularly will mix and match their banks — using a card which provides cheaper foreign transactions when they go abroad, but managing their money back home with a different lender,’ she says. 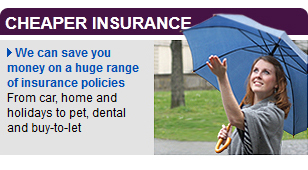 But Guy Anker, managing editor of MoneySavingExpert.com, warns that some of the eye-catching deals may not last for ever. He says so-called challenger banks could introduce fees when they have attracted a large number of customers through the doors. Mr Anker says: ‘These (phone-only) banks are the biggest threat we have seen to the High Street. They offer decent rates, good phone apps and attractive branding. ‘Starling, especially, is a fantastic option offering no fees — whatever the transaction — when you’re abroad, which is very rare. ‘Fee-free overseas spending has always attracted customers — it’s a perk people can get excited about. However, there is a danger these rates might not be sustainable so people should be aware of that.